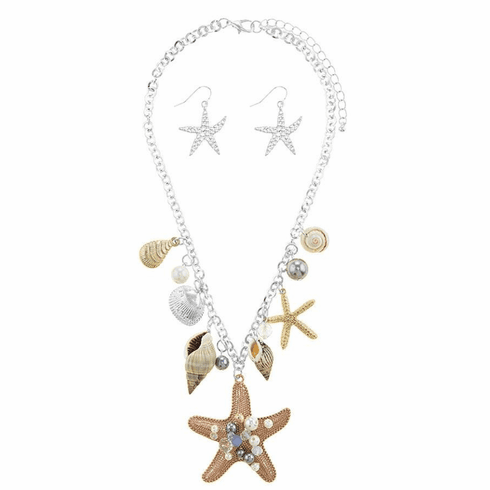 Attractive Oversized Starfish Station Necklace and Starfish Earring Set. Approx. Chain measures 16" in length, with lobster claw clasp with 3" extender.